Promotion exams coming up? Give yourself a REAL advantage over the competition! Study with hundreds of test questions and answers from EACH of your textbooks! Take real police promotion exams with up to 500+ test questions and answers from EACH of the 100+ major textbooks used in exams for Detective, Corporal, Sergeant, Lieutenant, Captain and upper-management ranks. If you follow our proven study system and don't pass - we refund 100% of your membership. It's that simple. Try our online exams and flashcards right now - at no cost. FREE - Receive an immediate login. Take short, sample exams and try the online flashcards from all of the above pictured textbooks - and many more - at no cost. Use your smartphone, tablet, PC or Mac. Your email address is never shared. You can unsubscribe with 1-click. 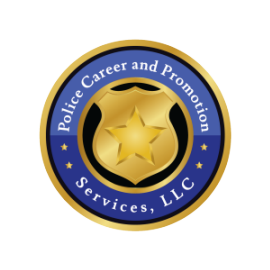 Thousands of law enforcement officers around the nation have been promoted using our exams and study system to prepare. "I want to thank you and your staff for putting together the finest program I have ever had an opportunity to use to prepare for a promotion process! I am happy to say that I tied for the top written test score and placed first in the oral board and I was promoted to the rank of Lieutenant!" "I placed 1st out of 16 in the written exam for Captain, which was phase one in the overall Assessment Center exam format. I also placed 1st out of 16 on the final list after the assessment center. "I took the Philadelphia PD Sergeant exam, and with the help of your tests and flash cards I was able to come out #1 on my promotional exam out of 2,000 applicants. I would recommend you guys to everyone. Thank you so much!" UPDATE: "Thank you AGAIN Police Career! I passed my exam for Philadelphia Police Lieutenant and had near the top score!" "After reading and studying the books required by my department, I began taking your tests. I ended up finishing second with a score of 97. I was recently promoted and can happily say that without your tests, I would not be wearing my stripes today. Thank you PoliceCareer.com!" My score was the highest on the written test and I finished #1 overall! Your book selection and tests were right on!" "I ordered your promotional package and took the advice you gave me. Last year I was promoted to Corporal and then yesterday to Sergeant. I scored number 1 on both promotions. I would never have been promoted if I had not found your program." "Our department just completed our Sergeant's testing for this year. Thanks to your program I finished #1 after the written examination and #2 overall out of 19 applicants. Just wanted to say "Thank You!" very much. Your program is an invaluable resource." "I just received the results from the Lieutenant's Exam. I am #2 on the list out of over 400 people who took the test. Your tests were a tremendous help... I have recommended your site to several of my colleagues." "I just wanted to thank you for this website and let you know it helped me so much. I was promoted! I just found the website to be fantastic. I read so much and studied very hard. The tests you had really helped me. My promotion was to Sergeant!" "My department was running two testing processes at the same time, Sergeant and Detective. I finished #1 in both promotional processes. I had my choice of promotion! Thanks again, your product was certainly a benefit to my promotion." "I have to hand it to your website, I recently took my promotional tests and by following your suggestions on reading, studying, reviewing, and utilizing the material on your website. I not only was well prepared but I also placed #1 on both written tests out of nearly 100 applicants on each test. I highly recommend your website (just not to those people who are competing against me)!" "I ordered your promotional exam study material in October. Thanks to the services and material your company provided I placed first on the exam and was promoted to Sergeant this past week. Thank you for your commitment to the law enforcement community. Be blessed."